Spend your 7 day BVI excusion aboard a 50.5' sailing yacht filled with many of the same ammenities that you would enjoy on land, except this home will take you away to discover the island secrets and charms that are found among the British Virgin Island chain. The main salon provides a climate controlled area for relaxing, conversing, dining, or just reading a book. Each cabin includes a separate toilet and shower ensuring privacy. 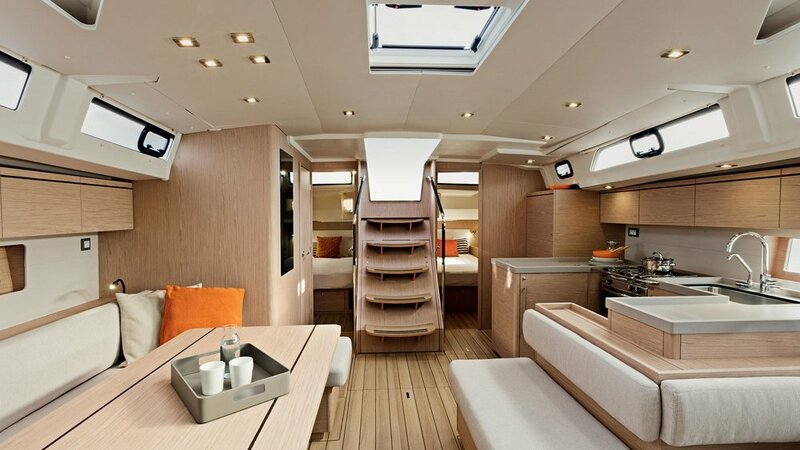 The galley comes complete with all of the amenities that you will need for a wonderful sailing charter to the BVI. There is a stove, with oven, micro-wave, refrigerator and freezer with plenty of storage, pots, pans and dishes. It is also furnished with other kitchen appliances like a blender, toaster, coffee maker, BBQ grill etc. Just tell us what you require for the best BVI sailing charter experience and we will do our best to make it happen!